I would 100% recommend it [playing abroad] to any British footballer who wants to play more whilst they are younger. 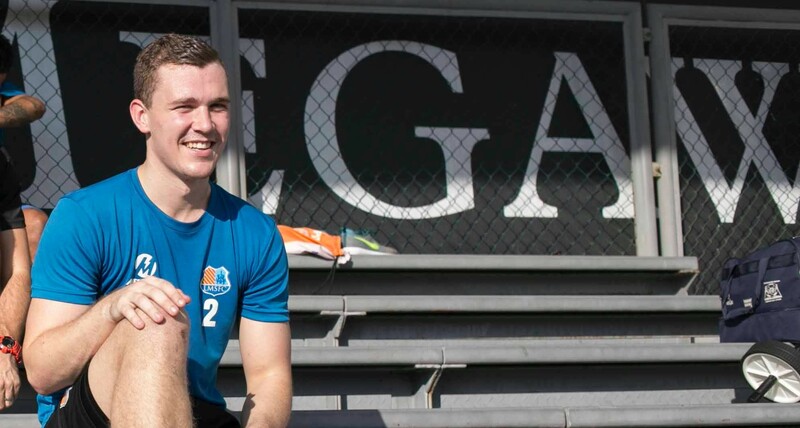 In an exclusive for English Players Abroad, I catch-up with 23-year-old defender Adam Mitter, who currently plays his football in the Philippines for Loyola Meralco Sparks. The former Blackpool youth player is well travelled despite his age, having featured for clubs in Sweden and Australia before the move to Asia. A ball-playing defender, equally as comfortable as a defensive midfielder, Mitter is of a similar philosophy as Everton and England’s John Stones. Often the source of many of Loyola’s attacks, his composed play at the heart of their defence creates chances for his own side, whilst denying opportunities for the opposition. Having started his professional career with Blackpool, Mitter featured for Hibernian before moving to Ange in Sweden and then to West Torrens Birkalla in Australia. He joined Loyola in 2015. In this exclusive Q&A, the 23-year-old talks about adjusting to life in the Philippines as well playing alongside two of the country’s biggest stars. English Players Abroad: First of all, moving to the Philippines could be seen as an unusual move for an English footballer, how did the transfer come about? Adam Mitter: To be honest, when the interest came from the Philippines I didn’t know anything about the place what so ever. The manager here, Simon McMenemy, is Scottish [and] he was in contact with my agent so when he found out I was free he contacted me. We had lengthy discussions and it just went from there really. EPA: How does the standard in the Philippines compare to the football you’ve played in other countries? AM: The top four or five teams here are very good. They play very good football and are full of top quality players, Stephan Schröck from the Bundesliga. Martin Steuble from MLS is also playing here. We also have some very good Spanish players playing here. I think it shows by how well the two Filipino teams, Kaya and Ceres, are doing in the AFC Cup (Asia’s equivalent to the Europa League) this year. They are both nearing the top of their groups and playing big sides from top Asian countries, such as Malaysia, and getting results. That shows the quality that is here. EPA: Can you tell us a bit about the time you have spent playing in Australia and Sweden? AM: Sweden was brilliant for me. It was my first time moving abroad. I was young 19 in fact, but I went to the right type of club (Ange IF). It wasn’t the top tier of Swedish football but it was right at the time. It allowed me to learn and develop as a footballer. I was made captain of the club and held some sort of responsibility at a young age, that helped me to grow to this day. We won the league and got promoted and it was a fantastic year all round. I played under a great manager who helped me with a lot of things, we still keep in contact to this day. Australia was also a great experience, but a very different one. The style of football was very different from my Blackpool and Swedish days when everything was technical and tactical. Australia was more of a battle, more things in the air. It was a bit like when I was playing in Scotland with Hibs, it’s more physical. It was great to go out there and experience living out there and playing football out there toughened me up, if nothing else. EPA: How much has it helped having a Scottish manager in charge of Loyola during your time at the club? AM: Simon has been brilliant for me. Before coming out here he went into great detail about the place; told me the pluses and told me the negatives. He was very honest, and I can’t thank him enough. I’ve loved this experience so much, and it’s mainly down to him. He understands the British mentally. It is [very] different to a Filipino mentality when on the football pitch, so it’s hard for him to try and get a good balance with the British lads when we get a hot head, but we find a way. With his experience and where he has managed previously, he has great knowledge. He’s an excellent manager. EPA: How have you adjusted to the culture whilst living in the Philippines and how important is football to the locals? AM: I’ve been lucky with the culture. I live in an area which is very ‘westernised’. Sometimes it feels like living at home except the weather. There are a lot of British people around, everyone speaks English. But it’s not like this in every area of the Philippines so you always have to be mindful. EPA: What is it like playing alongside James and Phil Younghusband, two of the Philippines’s most famous personalities? AM: It’s great to have Phil and James in the team with LMS, they both are so humble and down to earth. Two of the nicest guys I have ever come across in football, they would help anyone. For people who have so much in this country, you would never realise. They really are two of the nicest guys. EPA: With the UFL season first approaching, what are your ambitions for the upcoming season? AM: Let’s not get things mistaken, recently we have massively under achieved. When I first arrived here we won the first cup competition, the PFF Smart National Cup. That set the standards but since then we have fallen short. We finished second in the league last year and were beaten by a very strong Ceres side 1-0 in the semi final of the UFL Cup. This season has started with another disappointment, with being knocked out in the elimination rounds of the UFL Cup. But make no mistake about it, We will come back so much stronger in the league and be pushing to become champions. Meralco deserve that, and expect that. EPA: Would you encourage more Englishmen to play their football overseas? AM: 100%. So many English players get stuck playing in the lower leagues in England or semi professional leagues in England, not earning great amounts of money and not getting any life experiences. When, if they look abroad, they can develop their game in a different country playing full time, experiencing things you could only dream of. I wouldn’t change a thing I have done so far. I’m 23 now and I’ve played so much football and have a great amount of experience. Playing centre-back in England it’s hard to get game time at such a young age, not many managers put there trust in young CB’s. I wasn’t prepared to sit on the bench and watch games, I’m a winner, winners don’t settle for that – that’s why I came abroad. I’ve won things. I’ve played so many games. I’ve improved and matured. I’m now ready to see just how high I can go. I would 100% recommend it to any British footballer who wants to play more whilst they are younger. EPA: Finally, in your opinion, who is the best player you have ever played with or against? AM: The best player? 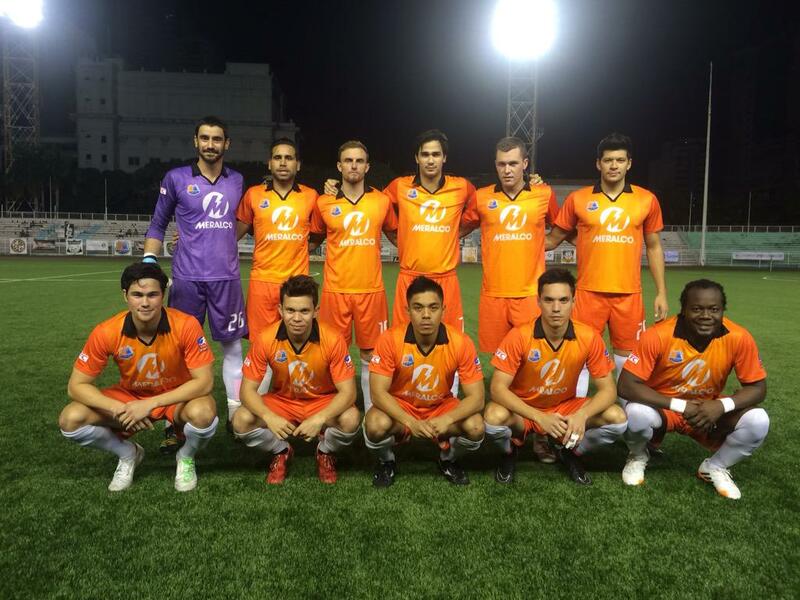 Well, getting to train with Blackpool’s first team whilst they where in the Premier league, I have seen some fantastic footballers but honestly, Phil [Younghusband] is right up there. The things he can do on a football pitch is incredible. He could easily go back to England and play at a high level. He has the ability to change a game in a second. I don’t think he realises just how good he is, he’s definitely one of, if not, the best player I have played with. 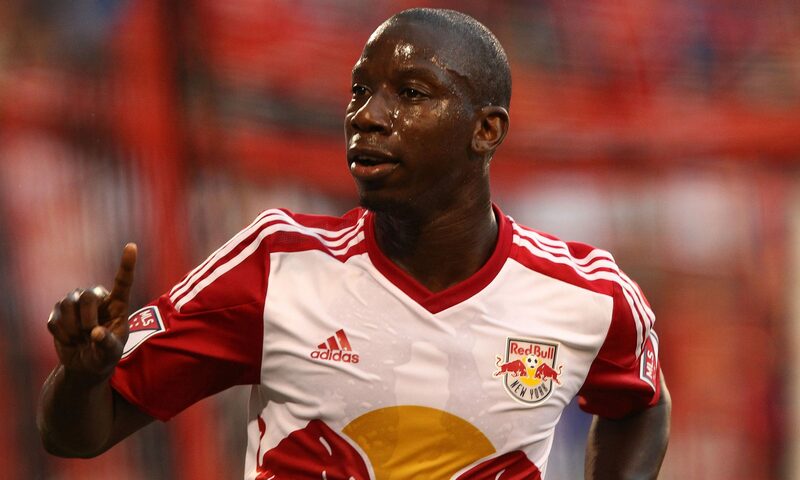 Next PostNext MLS 20th Anniversary: Who were the original Englishmen in the States?